There are several different ways in which online poker sites calculate the amount of your rakeback. There are many poker sites that use a dealt rakeback method, which is a favorite amongst poker players that play tight. Understanding the dealt rakeback method is easy because the name says it all – you are awarded rakeback for every real money game of poker where you are dealt cards. 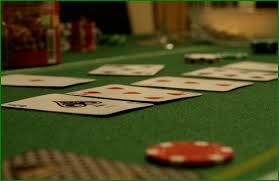 Rake is the small percentage of the pot that is taken by the online poker site to cover the fees for hosting the game. However, in actuality, the only player at the table who is paying into rake is the person who won the pot as it is raked before being awarded to the winner. A dealt rakeback system ignores this fact and considers every participating player in the hand as part of the rake. With a dealt rakeback system, the amount of players in the hand will factor into the amount of rakeback you receive. For example, if $4 is paid in rake and there were four players who paid into the pot, each of them would be counted as having paid $1 in rake whether they won, lost or folded. However, if you add an additional player to that hand then the rake for each person at the table would be considered only $0.80. Most online poker sites will calculate the total amount of rake that you paid with a monthly tally. On a certain date, you will automatically receive a percentage of your rake back into your online poker account. Most poker sites will deduct any bonuses you might have before determining rakeback. Understanding the dealt rakeback method can help you use it to your advantage. This type of system is rewarding to tight players because you receive rakeback on hands that you folded. Therefore it makes it worthwhile to at least pay the minimum amount into every pot to get the amount of your rakeback to increase. Like most rakeback methods, the key to earning more rakeback with the dealt rakeback method is to play more games. Learning how to multi-table is a good way to take advantage of a dealt rakeback system. The more hands you participate in, the more money you will receive each month. Smaller tables also means fewer players to divide the rake between. If it’s getting too crowded, consider moving off to another table with less competition. Playing poker heads up is the best way to minimize the amount of ways the rake is divided. In games with higher stakes the jackpots are much bigger, which means the amount of money paid towards the rake is higher as well. Since you can still earn rakeback when you fold using the dealt rakeback method, you do not actually have to spend a large amount of money at high stakes tables, you just have to be present. Part of understanding the dealt rakeback method is knowing that you don’t have to contribute much to the pot to get your rakeback. With a dealt rakeback system you should be raising the pot to win your opponent’s chips, not to increase how much rakeback you’ll receive. Online poker sites know all about understanding the dealt rakeback method and entice players using dealt rakeback rewards. Often times, online poker sites will host special games where bonus rakeback is added to every hand that you play. Some online poker sites have special rakeback programs where you can earn better percentages on your rakeback when you achieve a higher rank in the program. This is achieved by playing more real money games per month.